I hate this word. Thank goodness for programmes like the BBC Drowning in plastic. If you missed it make an effort to watch it now! How many of you have watched that programme and found yourself either upset or angry about this dreadful situation? but how many of you have actually started to take action from seeing that better still have you taken action before this ? I know I have. There are so many social media groups out there @reduceplasticnow that can help you with ideas and ways to stop using as much plastic as you currently do. 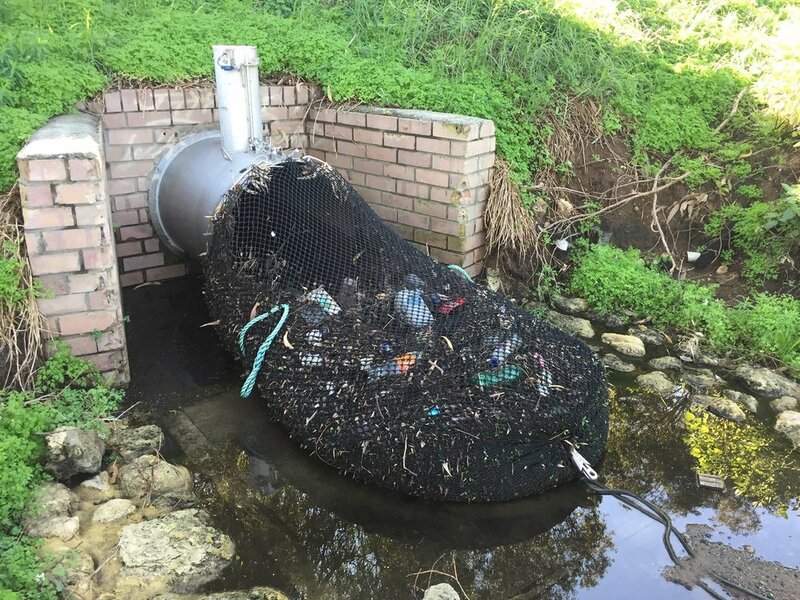 One thing that has really been bought to light is the drain net that is currently being tested in Australia. As you can see from the picture its clearly working everyone knows that flushing wet wipes is a NO NO also tiny things like contact lenses, there is obviously more than this being flushed into the toilets around the world but in this case why are these drain nets not being used on all of the storm drains and sewers that enter the sea???? I recently read an article on pollution going through our toilets on a water works website explaining how much more waste is now getting washed up on beached, what I cant understand is when I search for drain nets used in the UK nothing comes up? Wet wipes, yes are one of the nightmares of the sewers, if this is the case why aren't they banned? I was stood in a queue @primark the other day and in front of me was the biggest stand I’ve seen of face wipes. Followed by shelves of sachets containing face packs. Check out the Primark link above. There is one thing that Is recyclable and that's the glass tub of face cream apart from the plastic lid of course. The rest of the products on there are completely unnecessary. Our government need to open their eyes and I mean don't to just talk the talk they need to walk the walk, start placing laws that stops certain products being sold in this country, stick by it and make the difference. Most of us have children that one day will have their own children, do you want your grandchildren asking question like why are there pictures of fish in the book you are reading me but non in the sea or rivers? are you going to tell them that because before they were born the people of this world didn't care about the sea life and we killed them by feeding them with plastic we no longer needed.? I have listed on my Facebook page what I am doing to help, although it my be the small but if we all did this then its a start. Its great to see what we are all doing. Please leave you comment on what you are doing to help, someone might be doing something you haven't even thought of. Share your actions. and please please share this blog post to help make more and more people aware.